What else influences your car's octane requirements? * Driving method: Rapid acceleration and heavy loading increase your octane requirement. 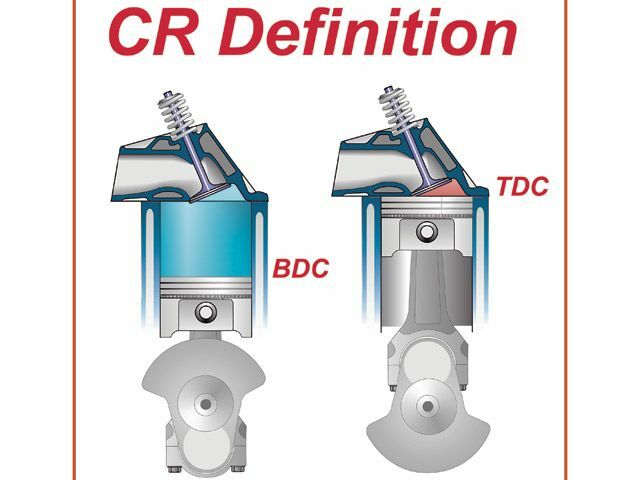 If your thinking of running pump fuel, the simple answer..
dynamic compression is the ONLY compression the engine ever sees or deals with, it measure compression from the time both valves seal the chamber,and that is always lower simply because the valves always seat after the piston is already moving upwards on the compression stroke. from what Ive seen working on and tuning engines ,those charts are depicting about the ideal maximum compression ratio to run,in your basically stock engine, giving you a bit of a hedge for detonation resistance, and they pretty much assume a 14.7:1 f/a mix ratio to minimize emissions. 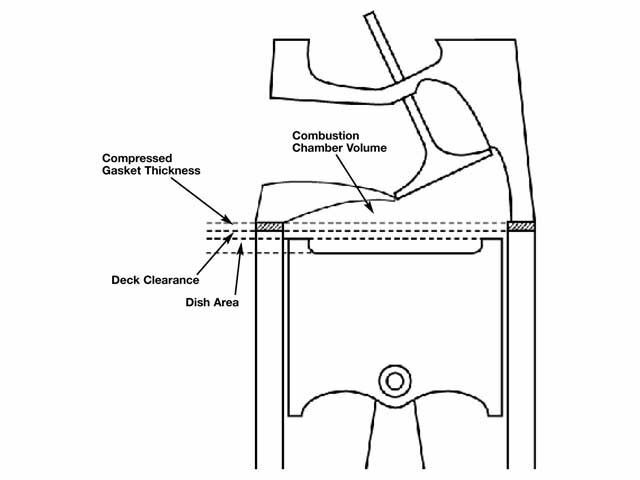 detonation can destroy an engine but its frequently caused by more than just a bit of compression ratio increase in relation to the octane of the fuel alone, get the heat transfer rates out of the combustion chamber and ignition curves and fuel/air ratios correct and you can run a bit higher ratio that the charts depict. 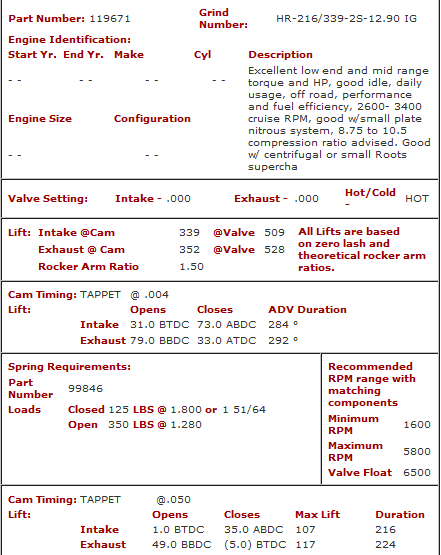 A great deal of how well your engine runs will be determined by its state of tuning,if you run a non-emission friendly 12.5-13.1:1 fuel/air ratio where you maximize the engines power curve and play with the ignition timing advance curve to get the best torque ,you can frequently boost the effective compression ratio by about .2-.3 and not only get away with it but make noticeably better power. now IM not saying you can ignore the graph, but in the real world its not like if the graph says that if your engines compression ratio is at 9:1 your, engine combo instantly self destructs the point you put 89 octane in the tank,or at 9.1:1 compression, if you mis-calculated,or that if the pump says your getting 91 octane, your not occasionally getting 89,90, or 92 octane. get the quench down in the .040-.042 range , polish the combustion chambers and keep the coolant temps below about 190F and run a good oil control system with an oil cooler and you would be AMAZED at how far you can push the limits.....push NOT IGNORE! A. Octane is a measure of a gasoline's ability to resist knock or pinging noise from an engine. In older vehicles, knock may be accompanied by engine run-on, or dieseling. Knock is the sharp, metallic-sounding engine noise that results from uncontrolled combustion. 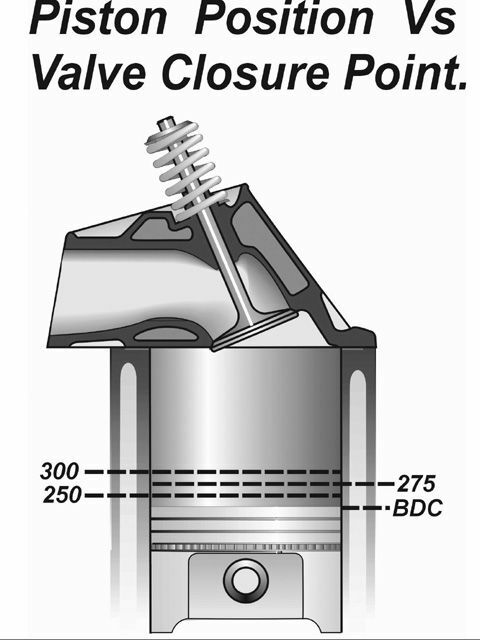 Severe knocking over an extended time may damage pistons and other engine parts. If you can hear knocking, you should have your engine checked to make sure it is calibrated correctly and does not have a mechanical or electrical problem, or use a higher octane gasoline. In most vehicles no benefit is gained from using gasoline that has a higher octane number than is needed to prevent knock. However, in some vehicles equipped with a knock sensor (an electronic device installed in many modern engines that allows the engine management system to detect and reduce knock), a higher octane gasoline may improve performance slightly. Q. What determines my car's octane requirements? A. Your car's octane requirements are mainly determined by its basic design. In addition, variations in engines due to manufacturing tolerances can cause cars of the same model to require a different octane of several numbers. Also, as a new car is driven, its octane requirement can increase because of the buildup of combustion chamber deposits. This continues until a stable level is reached, typically after about 15,000 miles. The stabilized octane requirement may be 3-6 numbers higher than when the car was new. Premium or midgrade fuel may be advisable to prevent knock. Temperature - Generally, the hotter the ambient air and engine coolant, the greater the octane requirement. Altitude - The higher the altitude above sea level, the lower the octane requirement. Modern computer-controlled engines adjust spark timing and air-fuel ratio to compensate for changes in barometric pressure, and thus the effect of altitude on octane requirement is smaller in these vehicles. Humidity - The drier the air, the greater the octane requirement. The recommendations that vehicle manufacturers give are for normal- to low-humidity levels. Your engine's spark timing - The octane requirement increases as the spark timing is advanced. Both the basic setting of the spark timing and the operation of the automatic spark advance mechanisms are important in controlling knock. In some computer controlled engines, the spark timing can only be changed by replacing modules in the computer. If they are equipped with knock sensors, these computer controlled engines have the ability to retard the ignition temporarily when a sensor detects knock. This temporarily reduces the octane requirement and may also temporarily reduce vehicle performance. Method of driving - Rapid acceleration and heavy loading, such as pulling a trailer or climbing a hill, may result in a greater octane requirement. 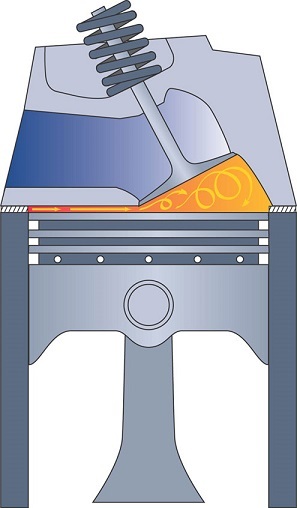 Stop-and-go driving and excessive idling can increase octane requirements by causing the buildup of combustion chamber deposits. Malfunctions of emission control systems - An improperly functioning emissions control system can affect the octane requirement by changing the air-fuel mixture or by not providing dilution gases through the exhaust gas recirculation (EGR) system. If a malfunction occurs, your vehicle should be taken to a qualified vehicle service mechanic. Some problems are indicated by warning lights on the driver's instrument panel. Q. How many grades of gasoline are available? A. Most places that sell gasoline offer three octane grades of unleaded gasoline--regular at 87 (R+M)/2, midgrade at 89 (R+M)/2, and premium at 93 (R+M)/2. In high-altitude areas such as the Rocky Mountain Region of the U.S., the (R+M)/2 number may be lower by one or two numbers. After January 1, 1996, no leaded gasoline may be sold for highway use. Q. Which octane grade should I use in my car? A. Use the recommendation in your car owner's manual as a starting point for selecting the proper gasoline. If you notice engine knock over an extended time and your engine is adjusted correctly, try a higher octane gasoline. Also, higher octane may provide a performance benefit (better acceleration) in cars equipped with knock sensors. Many late model and high-performance (turbo-charged and supercharged) cars fall into this category. Grumpy How Relavent in your experience are these Dynamic compression Ratio calculators with Vintage Detroit Iron? Cast Iron production heads used. Read above yesterday & all links. My '65 Olds 425ci V8. Used the old Kieth Black engine calculator, United Machine now. Have a tight Quench area stock as is. .032"
Dynamic with my Isky Cam 6.99:1. Many are saying these Dynamic compression calculators have been found useless. Previous owner said this 425 ran great on 91-93 octane. Your chart above says I should be able to run 87-89 octane. Be Coll radiator in place. Can easily maintain 180F water temps. Last edited by 87vette81big on August 26th, 2013, 12:31 pm, edited 1 time in total. Using stock iron heads. A heads. I have tried to maintain an 8:1-8.4:1 dynamic compression ratio and a .040-.042 quench in most of my engines,I try to keep the oil temps at no more than 220F most of the time and ideally under 215F, I try to keep coolant temps under 190F most of the time and try to avoid getting coolant over 215 f, keep in mind that you can,t audibly hear detonation in most engines in the upper rpm range until it becomes rather extreme and potentially rather destructive, and that just because you can,t hear it at lower rpms or when its not happening consistently, its not an indication that the cumulative damage is not occurring over time. I lost count of the guys I know who built engines that "for no apparent reason... busted pistons or rings" when those engines get torn down and closely inspected DETONATION is frequently a prime suspect, and todays crappy fuel octane is a prime contributor. every combos different and simple things like polishing combustion chambers. retarding a cam a few degrees,using a larger more efficient radiator, and changing the fuel/air ratio and ignition advance curve or adding a highly effective scavenging header on a low restriction exhaust can make or brake a combo as far as its tendency to get into detonation. Yes I am personally aware of Detonation and Havic Damage it causes. Not putting $5 k into this build. The "A" Heads on this 425 Olds are supposed to be best ever made stock next to the 1970 W30 455 heads. Some Olds guys say the A heads still better. I will start my intial Tuning with 100 LL Aviation gasoline. Tune down for 93 pee water. i use this stuff it works great!